President of the Association of Government Relations Specialists (GR League) of the Russian Federation. With no candidate receiving more than 50% of the vote, a run-off was scheduled between Josipović and Grabar-Kitarović with the other two candidates being eliminated. 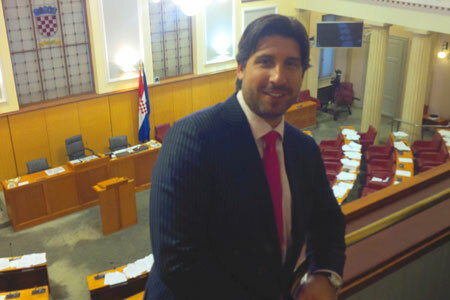 The run-off election took place on 11 January 2015, where Grabar-Kitarović won with 50.4% of the vote. She became Croatia's first female president-elect and is set to take office on 19 February, 2015. From left to right are the leaders of Croatia Lobbyists Society (Zagreb), Montenegro Lobbyists Society (Podgorica), Serbia Lobbyists Society (Belgrade), Bosnia & Herzegovina Foreign Chamber (Sarajevo), AALEP (Brussels) and the Center for Lobbying at the Macedonian Science Society (Bitola). All organisations have entered into a Protocol of Co-operation with AALEP, for developing academic co-operation and education in the field of public policy advocacy. WHICH MARKETS SHOULD WE MONITOR IN 2011? According to the Economist magazine, the top emerging countries that exhibit the greatest market potential in terms of market size, growth rate, market intensity, market consumption capacity, commercial infrastructure, economic freedom, market receptivity and country risk are in order of importance the following: 1. Hong Kong 2. China 3. Singapore 4. Korea South 5. Czech Republic 6. Poland 7. Israel 8. Hungary 9. India 10.Turkey 11.Brazil 12.Indonesia 13.Mexico 14.Malaysia 15. Chile 16. Saudi Arabia 17. Thailand 18. Argentina 19. Peru 20. Read more about WHICH MARKETS SHOULD WE MONITOR IN 2011? The AdvocacyCenter-Brussels has just been officially opened. 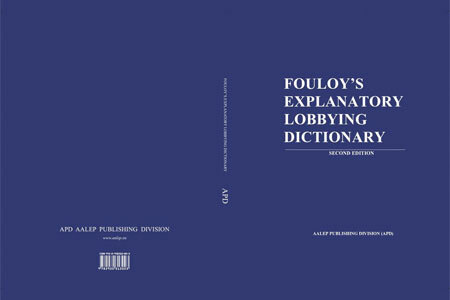 The vision is to create a 'Lobbyists' House' in Brussels where lobbyists' professional groups, consultancies and national lobbyists' organisations are represented. One of the key benefits of the AdvocacyCenter-Brussels is that it will provide opportunities for sharing of experience, foster new ideas and the possible development of collaborative arrangements among subscribers. On 28 March, Christian D. de Fouloy will deliver a lecture on 'Comitology' as well as on 'European Parliament Lobbying' to the French participants of the Institut Supérieur Européen du Lobbying/European Institute for Advanced Studies in Lobbying who are on a study visit of the European institutions. AALEP Chairman, Christian D. de Fouloy has been invited by the Belgian-Luxembourg Chamber of Commerce for Russia and Belarus to participate in a workshop to be held in Moscow on 4 April on the modernization of the Russian industry (economy) that will be presided by HRH Prince Philippe of Belgium. The venue will be the Russian Chamber of Commerce and Industry. Speeches will be delivered by Mr. Arkady Dvokovich, Chief Economic Advisor to Russian President Dmitrii Medvedev, by Mr. Sergey Katyrin, President of the Russian Chamber of Commerce and Industry (RCCI), by Mr. While there is no formal training to become a lobbyist, AALEP offers a Lobbying Certificate Programme that delivers a body of knowledge and skills, lobbyists need to work more effectively in the European policy-making arena. The main purpose of the Association is to enhance the professionalism, competence and high ethical standards of GR professionals and lobbyists in Ukraine through education, information and exchange. Association of Government Relations Specialists (GR League) of the Russian Federation- Established in 2012- First NGO aimed at promotin the formation of a civilized market of interaction between business, state and society in Russia. GR-League unites GR-Managers from the industry leaders of the Russian market as well as the heads of the leading consulting agencies. Members of the GR-League actively participate in the development of professional standards and introduce ethical principles in the practice. 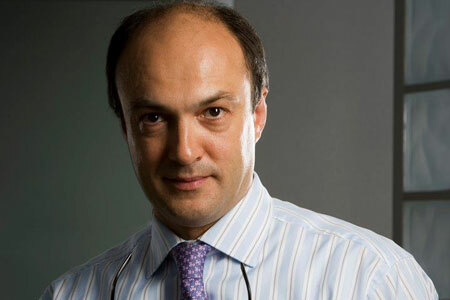 Oleg Rumyantsev is currently the President of the Association of Government Relations Specialists 'GR-League'. He was in state service from 1990-1998, first as a Member of the Duma in democratically elected Russian Parliament (1990-1993) where he earned an international reputation as Executive Secretary of the Constitutional Commission and one of the prime drafters of the new Russian Constitution. Both AALEP and The GR League have entered into a Protocol of Co-operation. RUSCHAM provides the entrance in the makets of new foreign investors who consult RUSCHAM to gather information and make the necessary contacts to fulfill their strategic plans. The Section of International Cooperation of Regions of the Senatorial Club in Moscow provides services to foreign financial and investment companies, banks, industrial enterprises as well as private investors in the promotion and implementation of their projects, new technologies, increase of sales volume and in other kinds of economic, technical, cultural, humanitarian cooperation and the establishment of business and partnership relations with governmental bodies, enterprises, organizations in the regions of the Russian Federation. The activities of the Section aim at establishing and developing small and medium enterprises and also cooperation with already existing companies for providing a full range of assistance and support. European Business Group India (EBGI) was launched in 1997 at the initiative of European busuinessmen with the support of the Delegation of the European Commission to India. With Chapters in New Delhi, Mumbai and Bangalore, EBGI seeks to develop and expand European business interests in India. It is the focal point for individuals, who pursue business in India. It complements and supplements the Delegation of the European Union and other business groups, while providing a platform for European Businesses to meet, exchange views and make representation on behalf of the members to the Central Indian Government. EBGI works through its Sectoral Committees to achieve its goals. The European Business Group is a membership based organization comprised of 400 members which collectively represent an investment of more than US$ 10 billion and provide employment to more than 2,000,000 people in India. These members are represented across the following sectors: Alcohol Beverages, Automotive, Banking and Financial Services, Civil Aviation, Energy- Power, Oil and Gas, Healthcare, Services, Telecom and IT and Textile. The European Chamber of Commerce and Industry in Lao PDR represents the European business community in Laos. Its main objective is to promote and increase business between Lao PDR and EU member states for their mutual benefit and for the benefit of its members. This includes among others the promotion of investment, raising the profile of Lao PDR in the European business community and vice-versa and promote linkages between Lao and European SMEs. Public Affairs Community of Europe (PACE) is a common platform of all national organizations of European public affairs professionals and lobbyists. The purpose of the PACE is to provide support, networking and intelligence to EU and country-based public affairs professionals and to set up the grounds for a European identity for public affairs professionals. PACE aims to advance the ethical and democratic values of lobbying and define the profile of the EU professional lobbyist. Founded in June of 2008, the Croatian Society of Lobbyists (CSL) is a first non-for profit organisation representing public affairs and government relations specialists in Croatia and Southeastern Europe. CSL's goal is to advocate for public register and accreditation of lobbyists, code of conduct and regulation of lobbying practices in Croatia. Throughout these activities, CSL wants to raise awareness, transparency and accountability of lobbying profession amongst entrepreneurs, politicians and NGO representatives in Croatia. SLA- Serbian Lobbyists Association is a non-profit and non-partisan association dedicated to the promotion of the lobbying profession and education of all stakeholders involved in lobbying activities in Serbia. SLA aims to educate and inform tow key constituencies: the wider public about the goals, standards and activities of the lobbying profession and the lobbying practitioners about the necessary skills and standards, both adopted and emerging in their chosen field. 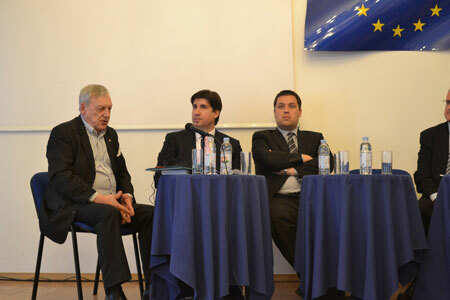 AALEP has entered into a Protocol of Co-operation with the Serbian Lobbyists Association. The Beroepsvereniging voor Public Affairs (B.V.P.A.) the Dutch Association for Public Affairs promotes the interests of all public affairs professionals in the Netherlands. The B.V.P.A. is a fast growing association that counts over 300 members. Membership is open to all professional active in the public or the private sector. Members can be found working in companies, NGOs or government. The B.V.P.A. organizes activities such as workshops, debates and study trips. The mission of the B.V.P.A. is threefold. First, it tries to increase the professionalism of its members by offering them knowledge, skills and information about everything that concerns the profession. Secondly, it wants to increase the familiarity of public affairs to a broader audience. Thirdly, it wants to increase the reputation of the profession in society, and to be the leading spokesperson of the profession. LobbyingTraining.com offers web-based career education to assist policy influence professionals in meeting the rigorous demands of a dynamic industry. LobbyingTraining.com offers a wide range of lobbying training course material suitable for government relations professionals in various stages of their careers, from the much requested entry level "How to become a lobbyist" to more senior executive training covering such topics as "Drafting Legislation" and "Managing a Lobbying Firm" to courses on how new technologies are influencing the influence business. All programs are designed to expand konwledge and provide tools to positively impact one's career. GlobalGovAffairs provides a comprehensive, coherent forum with which to drive the subject of Global Government Affairs forward by publishing authoritative, peer-reviewed articles, as well as news, debates, interviews, literature reviews, case studies and special features. It provides an international forum where parctitioners, academic researchers, consultants, governments, students and the wider public can debate these issues and learn about best practice. ABRIG-Associação Brasileira de Relações Institucionais e Governamentais founded in 2007 is an Association made up of professionals with a widely diverse background e.g. lawyers, economists, engineers, political scientists, entrepreneurs, academics, journalists pursuing four objectives in the area of regulation, compliance, education and the role of lobbying. Since its inception, ABRIG has been speaking on behalf of Government Relations professionals with the Brazilian authorities and participates actively in the decision-making processes that affect the activity of the profession. It is the only entity that has developed a Code of Conduct for Government Relations in Brazil, a Code that is aligned with new anti-corruption laws at both national and international level. ABRIG has also prepared a draft bill to establish principles, objectives and rules for participation in public policy decision making processes in Brazil.